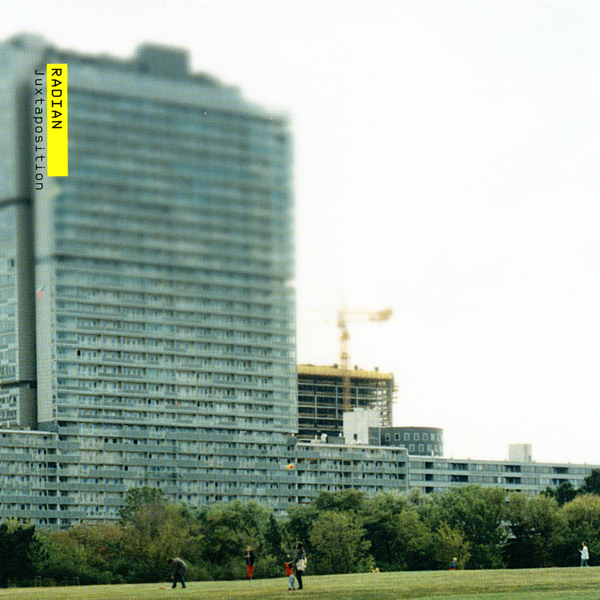 Austria's Radian return to Thrill Jockey with their most developed, well-rounded album to date. The trio comprises of Stefan Nemeth, John Norman and Martin Brandlmayr, and between them they weave a textured arrangement of laptop processes, heavy basslines, treated synths, organic percussion and lilting guitars, taking experimentalism into a more accessable plateau than their most recent excursion "Rec.Extern" displayed. Drums also play an important role through 'juxtaposition', the modified sounds making for a kind of "Post" post-rock that strips compositional elements down to clearly discernable parts, coming across like a re-constructed Tortoise at their most pensive. "Juxtaposition" is a surprisingly easy listen, involving and challenging yet at all times oddly soothing, even when the trio shifts gears towards noisier crescendo's. Highly recommended.